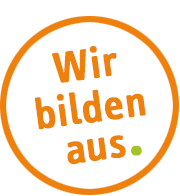 With this attitude we run seven quality nursery schools in Munich. We invite you to share our passion for active child care and work with us to create a warm, professional and fun bilingual crèche / kindergarten for children aged 6 months to 3 years, resp. 3 to 6 years. With three carers per group and an interculturally open minded team, we provide an environment of mutual appreciation and superb working conditions. We are looking for a Qualified Native English speaking Early Years Educator or Nursery Teacher. 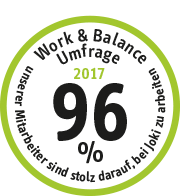 Should you not have a place to live in Munich, we can provide a room in our shared apartment for employees. Friendly flatmates are included! 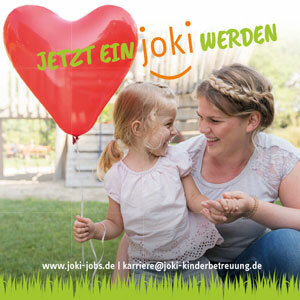 If you feel like becoming a member of our cheerful professional team, then please send your application (CV, qualifications) to Mrs Irene Campos, karriere@joki-kinderbetreuung.de. Or give us a call at +49 89 20 18 43 31 36.